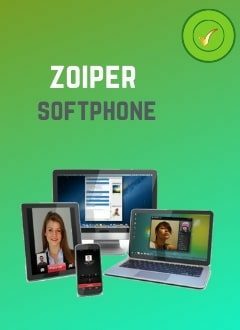 Zoiper free version is a softphone (virtual telephonex) that allows you to make calls via internet with Hivoox voip services or any other voip provider. Use this version to test zoiper. The virtual phone for Windows, Mac, Linux, Android, Ios, Windows phone (Zoiper) is a softphone that allows you to make calls via internet with Hivoox voip services or any other voip provider. You must install the correct version of the zoiper in your computer, tablet or mobile, in order to start using your sip line. Whether you are a small, medium or large company, zoiper is an excellent solution if you want to take advantage of the ip telephony on your computer. Audio, video, fax, presence and instant messaging. Active chat even during a phone call. Registration of SIP and IAX accounts. Search instantly for contact list. Improve the efficiency of your communications. Call directly from your client or browser with our email plugins and browser extensions. Zoiper softphone works well with Hivoox, Asterisk, Freeswitch, Cisco Callmanager, 3cx, elastix and most other modern SIP-based Pbx'es. Enjoy free calls between Zoiper users or combine your calls with your favorite voip provider for cheaper calls. Zoiper is compatible with most VoIP service providers and PBXs.